This dish is amazingly delicious but is so simple to make your family wont believe you didn’t stand over the stove slaving away at it. Perfect for those busy school nights at my house. 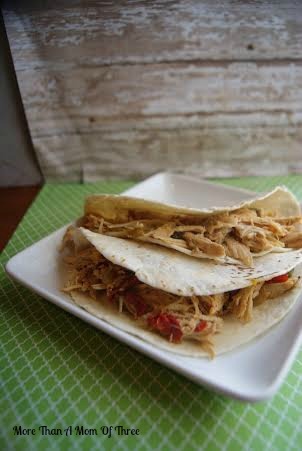 You can toss the ingredients in the crock pot late morning and walk away until dinner time, couldn’t be any easier. Plus, I also like the fact that its made from scratch and not a packet of processed seasonings, the flavor is much brighter and fresher this way, and the chicken stays moist and juicy. This recipe easily doubles or triples to feed a crowd and makes a great weeknight meal or even a Sunday dinner. It is sure to become one of the most requested dishes in your weekly menu rotation. Spray crock pot well with non-stick cooking spray. 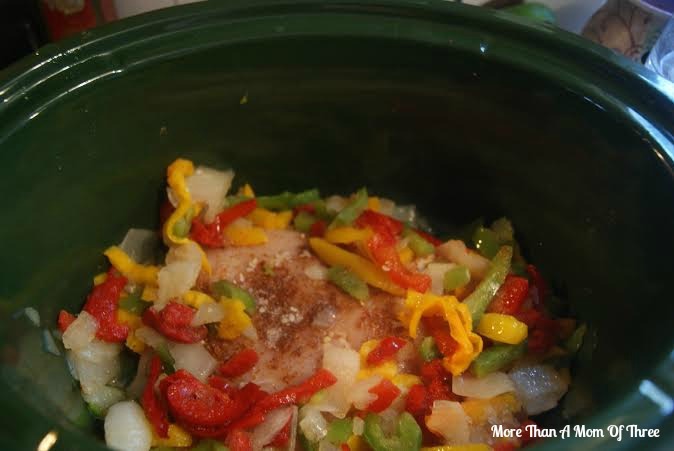 Lay chicken breasts on bottom of crock pot- you can cut smaller if you want but they will cook fine this way and are easy to shred when they are ready. Sprinkle all your seasoning and remaining ingredients over chicken. Cook on low for 4-6 hours until fork tender. 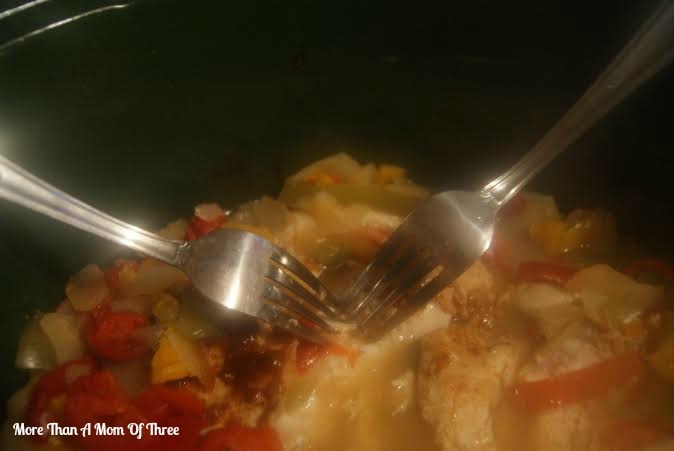 Use two forks to shred apart chicken completely. Drain chicken before serving in tortillas. My kids favorite part, adding their own toppings. 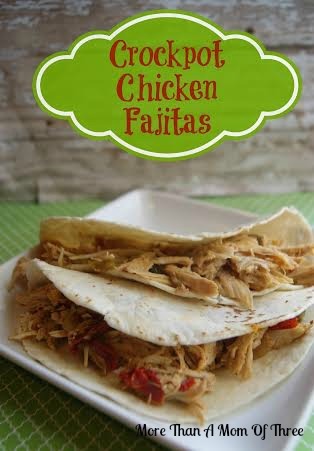 Don’t forget to set out salsa, sour cream, fresh cilantro, and shredded cheese to top your chicken fajitas. A delicious Sunday Supper that would also serve well for a midweek meal this Brown Sugar and Balsamic Glazed Crock Pot Chicken is simple and loaded with flavor. A sweet glaze that compliments the chicken well and creates a savory dish to appeal to the whole family. 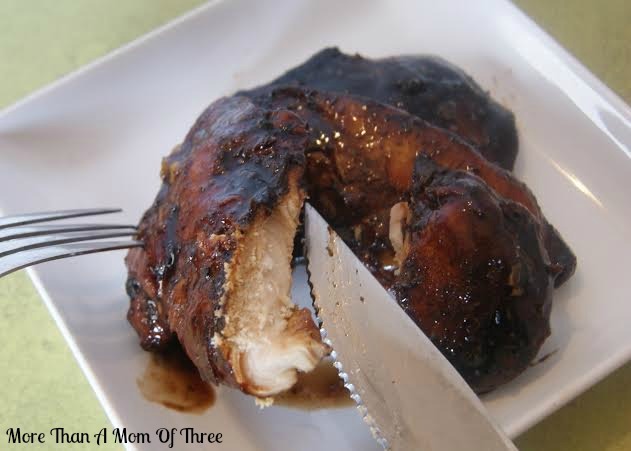 My kids love a sweet dish on the table and dig right into this chicken! Serve with rice, potatoes or pasta, and a healthy green vegetable to round it out for a filling dinner. Spray crock pot well with nonstick cooking spray. Spread chicken breasts out into bottom of crock pot. 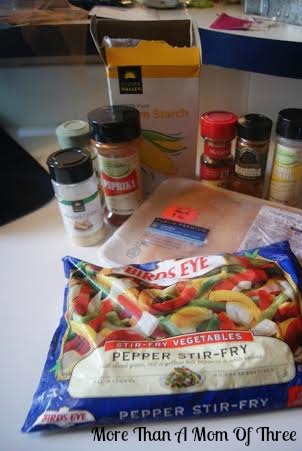 Place all ingredients on top of chicken. Stirring gently, occasionally to distribute glaze.